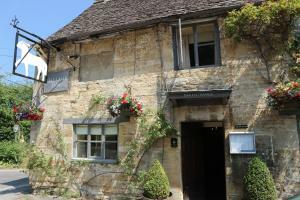 The Lamb is a historical Cotswold Inn that dates back to the 15th century. The Inn is located in the center of Burford and offers 17 individually-designed bedrooms, a collection of sitting rooms, a traditional English bar and an award-winning restaurant. The hotel has period features including open log fireplaces and flagstone floors, and at the back of the property guests will find a large garden. Burford is ideally located for exploring the Cotswolds and visiting attractions including Blenheim Palace, Cotswold Wildlife Park and Bicester Village. The most recent booking for this hotel was made on Apr 20 at 04:35 from United Kingdom. These are general hotel policies for The Lamb Inn. As they may vary per room type, please also check the room conditions. This ancient inn, originally built in 1420 as a weaver's cottages, is in complete harmony with its delightful situation in the Cotswolds. Lined with trees and cool green lawns, behind which are set picturesque Cotswold limestone homes reflecting the historic affluence of the town, Sheep Street is the setting for the Lamb Inn. From its wisteria-clad walls, stone-flagged bar, charming dining room to beautifully refurbished bedrooms, the Lamb has been delightfully restored to create the comfort of today, while retaining the atmosphere of yesteryear. Overlooking the courtyard terrace, the Lamb Restaurant has a light and airy atmosphere. The finest fresh ingredients, many produced locally, are used to create contemporary English cuisine, with strong traditional influences. The extensive cellar offers a fine choice of specially selected wines from the Old and New Worlds. Alternatively, lighter meals can be enjoyed in the hotel’s comfortable bar and lounge areas, which also features the daily fish menu. The Lamb Inn has 17 bedrooms, each with an individual character and decorated in warm traditional colors, with fine (often antique) furniture for a true country feel. The bedrooms have been designed to make you feel pampered, giving you views onto the quiet, leafy lanes of Burford or onto the peaceful courtyard and garden of the hotel. The Allium Room is a newly refurbished super deluxe double room with a roll top bathtub and plasma screen TV in the bathroom. Rosie is a superior double room, newly refurbished with its own private garden. The Shepherd Room is a superior double room with a four-poster bed for that special occasion. The Barn Room is a superior double with an elegant half-tester bed. There are superior double, twin and standard double rooms. The peaceful location of the Lamb Inn means that whichever room you choose, you can be sure of a quiet, restful night’s sleep. All bedrooms are non-smoking and have a TV, direct-dial telephone, beverage tray and private bathroom with bathtub/shower, generously stocked with complimentary Molton Brown luxury bath, shower and skincare products. A picture-postcard town, its houses and shops constructed from the beautiful honey-colored local stone intermixed with ancient celebrated black and white timbered buildings, Burford is the southern gateway to the Cotswolds. An outstanding location for a country break whatever the season, the Lamb Inn is ideally situated for exploring the countryside, for visiting National Trust properties and a variety of world-famous grounds, or even for a trip to the races. Fine houses and churches built by the wealth of the medieval wool trade, the stately home of Blenheim Palace and the dreamy spires of Oxford – all are within your reach from the Lamb Inn at Burford. The Cotswolds is a treasure-trove of attractive villages and towns, charming streets with an abundance of small independent shops – alluring for window shopping and enticing to enter, inviting small cafes and an intriguing history to explore. You will find the rustic charm of this picturesque retreat difficult to resist – you may be tempted to return again and again. * Exit the motorway at Junction 15 and join the A419, signed Swindon. * Stay on the A361 for approximately 16 miles. * At the roundabout junction with the A40 go straight over (still the A361), signed Burford. * Take the second left into Sheep Street and the Lamb Inn will be found on the right. * Leave the M40 at Junction 8 and join the A40, signed Cheltenham. * Continue on the A40, bypassing Oxford and Witney, and after approximately 26 miles turn right at the roundabout onto the A361, signed Burford. * Charlbury is the nearest mainline station (9.2 miles). * For further information on train times and fares telephone the Nation Rail Enquiry Line on 08457 48 49 50 or click here to visit their web site. 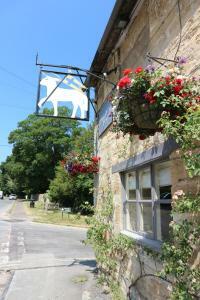 Please note that there is a 10% service charge in the restaurant at The Lamb Inn. Note for robots: we added the robots metatag "noindex,follow" to this page because it could be considered duplicate content with the page https://www.booking.com/hotel/gb/the-lamb-inn.en-us.html which should be in the index.